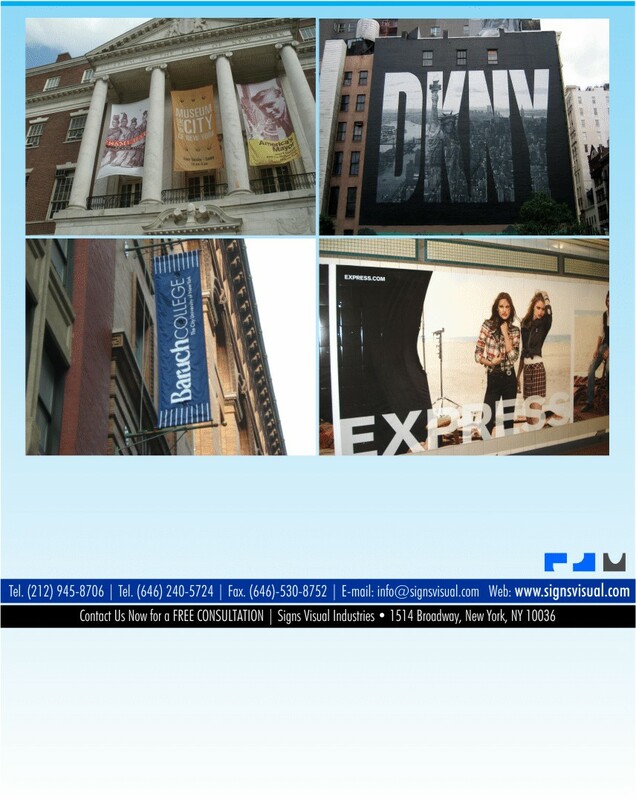 Signs Visual prints custom building banners for both interior and exterior use in New York, NY. Our building signage incorporate building banners, exterior banners, interior banner coverings, scaffolding banners, temporary banners, wall banners, and more. We make building banners that are durable and long-lasting. They are very cost-effective and yield great results. Contact us today on your next building banner and signage project! in NYC!